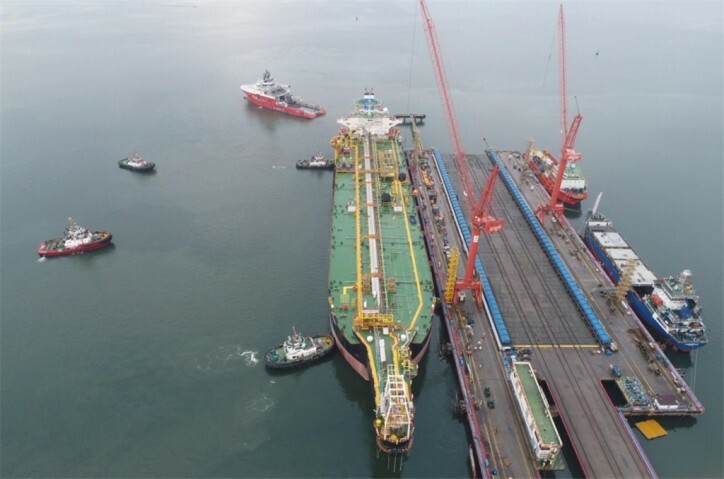 MISC Berhad (MISC) has secured a long-term charter contract from Hess Exploration and Production Malaysia B.V. (HESS) for the lease of a floating, storage and offloading facility (FSO) known as FSO Mekar Bergading on a bareboat basis. The long-term charter contract is pursuant to a sale and charter agreement between MISC and HESS in respect of the FSO, which also resulted in MISC acquiring ownership of the FSO. The investment is consistent with the MISC2020 strategy of which one of the target is to achieve a sustainable level of secured profit by year 2020 and MISC has been exploring opportunities to diversify the profit stream contribution across all business segments, including acquisition of assets that are able to give the Company secure and sustainable income. This FSO will join MISC’s fleet of offshore floating facilities, which now comprises 7 FSOs, 6 floating production, storage and offloading (FPSO) facilities, 2 mobile offshore production units (MOPUs) and 1 semi-submersible floating production system, bringing the total to 16 assets. This will further strengthen MISC’s position as one of the leaders in the offshore segment, capable of operating in marginal and deepwater fields at various locations including Brazil, Vietnam, Thailand and Malaysia. The FSO Mekar Bergading, will be chartered by HESS for a period of 16 years with an estimated contract value of USD441 million.